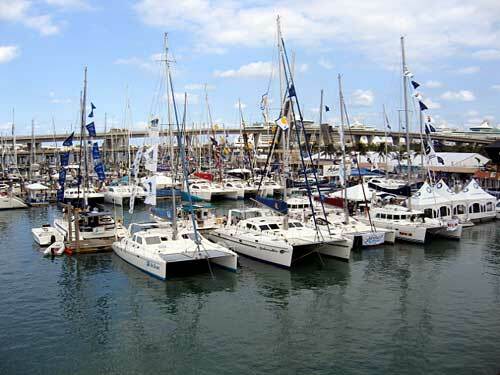 Strictly Sail should have been called "Mostly Catamaran"
I went to Strictly Sail to see the New Found Metals ports up close and personal before buying 8 or 10 of them. I left Miami after 4 hours at the show glad that I had seen the ports in person, since they were very disappointing, and pleased that I had found much better ports instead, The NFM ports had a very unfinished look about them. 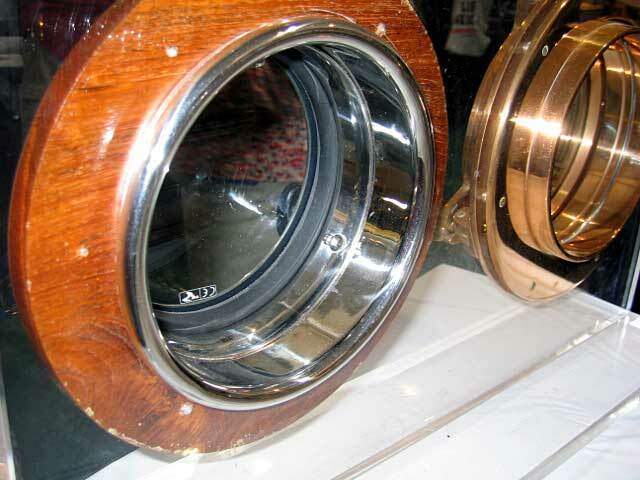 The stainless was rough, not polished to the perfection that you typically see in marine stainless as a standard. The edges of the spigot were almost rough enough to cut your finger on them, as if they had been trimmed by a band saw and not finished. The exterior trim rings did not follow the outside edge of the spigot closely on some ports--they use a rounded drain at the bottom and the trim ring left a wide (1/2" gap) below the rounded drain. When the ports were dogged down, the angle of the levers was different on the same port. The levers pivot on an adjustment screw in a circle until they stop against a boss. Because the position of the boss is different even on the same port one lever would be parallel with the bottom edge of the port frame--which is how I would want the lever to be in the dogged position--and one would be askew at an angle. Again, in my opinion, an indication of sloppy manufacturing. I asked the rep if the ports were representative of what they make and sell. He shrugged and said, "sure." He didn't seem very proud of them. Maybe the ports at the show are just sort of beat up and showing the signs of a heavy exhibit schedule. But, I am puzzled why New Found Metals wouldn't want to exhibit the finest examples of their products, not beat up show samples. 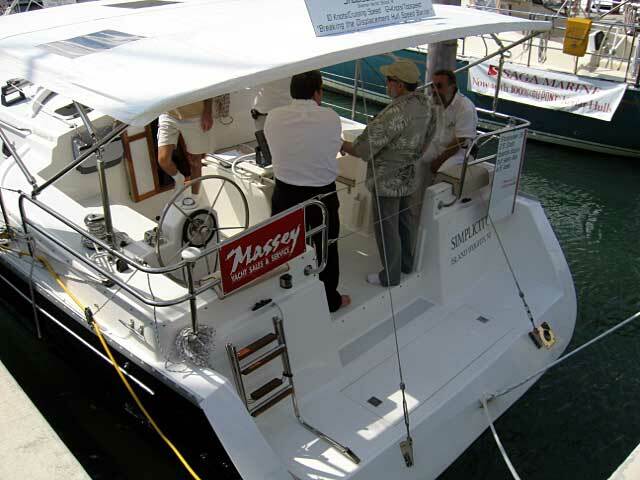 Apparently they are selling ports like hotcakes at these boat shows, but not to me. I'll pass on the NFM ports for something better engineered and better built. And I found just that one aisle over. The Mariners Hardware booth. 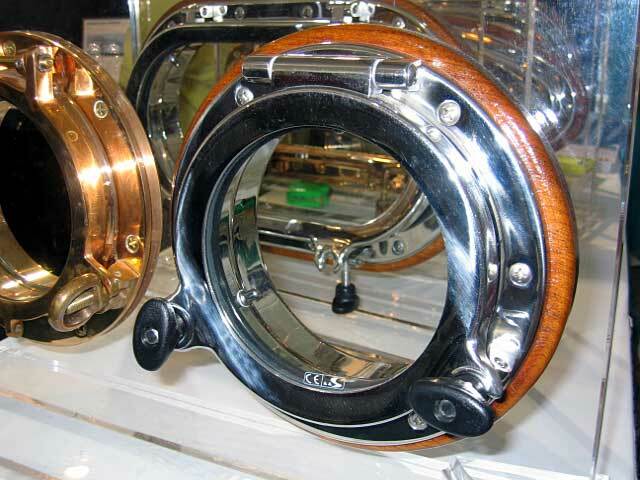 This company is a distributor for Man Ship and their hatch and port manufacturing arm in Asia. 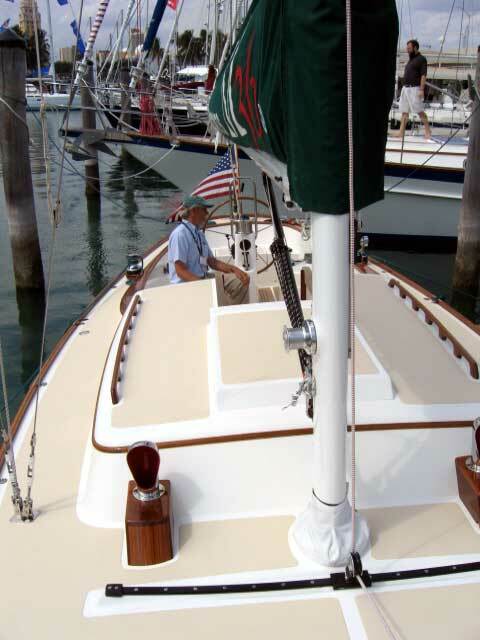 Man Ship was started by Ted Hood in the '80s as a high quality manufacturer of deck hardware for his boats. 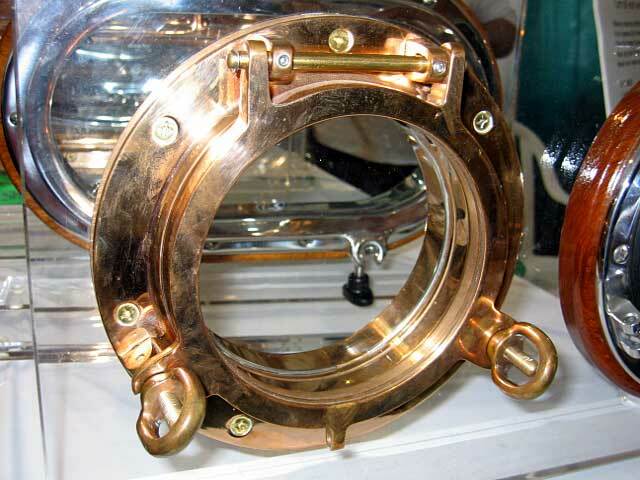 It has grown into a very respected name in the ship chandlery area and they build some doggone beautiful ports. The ports are gorgeous works of art. They carry 9mm tempered safety glass and you can order several types of dogs: the black handled screw down dogs shown in the photo, a lever-type dog similar to the NFM ports, or a traditional screw like what comes on most bronze ports. The stainless is 316. 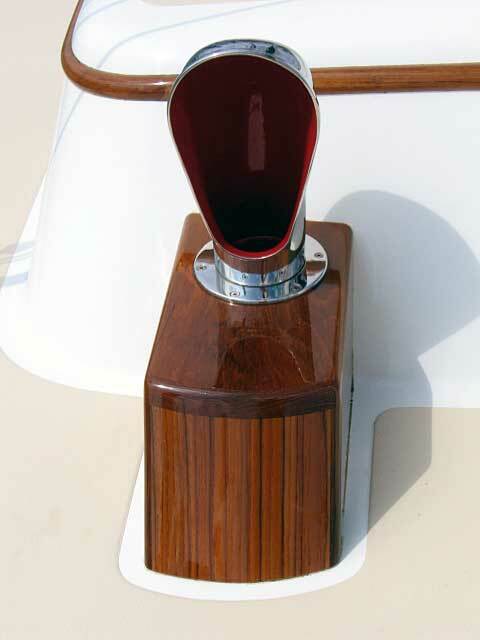 One unique aspect to the ports is the spigot, which can be ordered in a narrow rounded lip as you see in the photo. The lip looks larger than it actually is because it is attached to a clear pane of plexi. It is actually about 3/8" high and wide, making a very finished trim ring for the port. Their bronze ports ain't bad looking either. So, I need to take some careful measurements and then order the ports and the forward hatch, also of 316 stainless, custom made to fit the Bristol's odd trapezoidal shape. Now for some surprises. First Shannon Yachts. 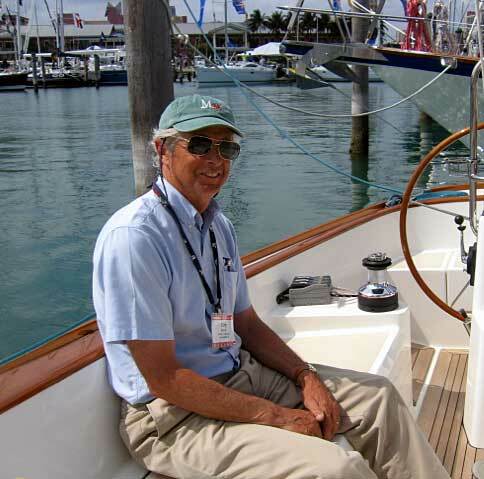 Builder of round the world sailboats. 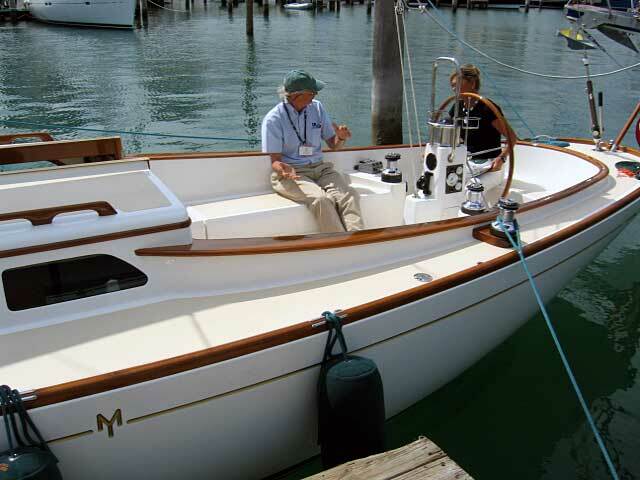 the Shannon 38 is one of those boats you can buy without a survey, knowing it was build right and loved and cared for by whomever has been lucky enough to own her, Shannons, handbuilt New England boats, like Bristols, right? WRONG. 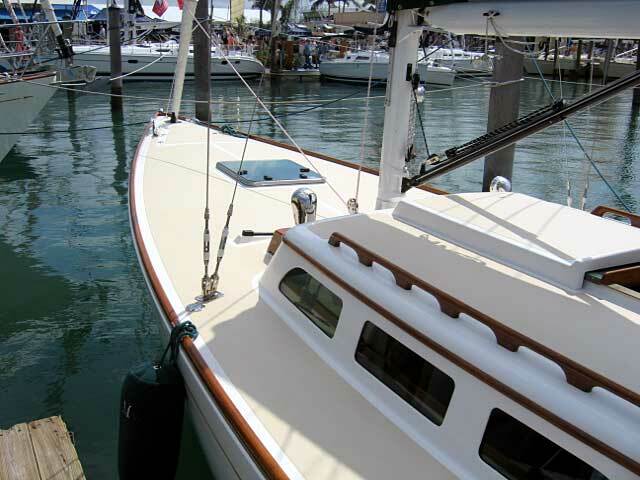 Take a look at the cockpit of their latest offering, the Shoalesailer 32.
lovely lines low topsides and perfect varnish. 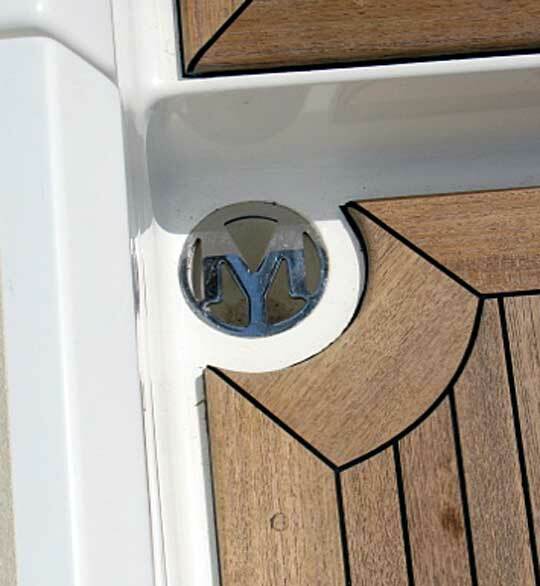 A Morris Yacht; yacht in every sense of the word. 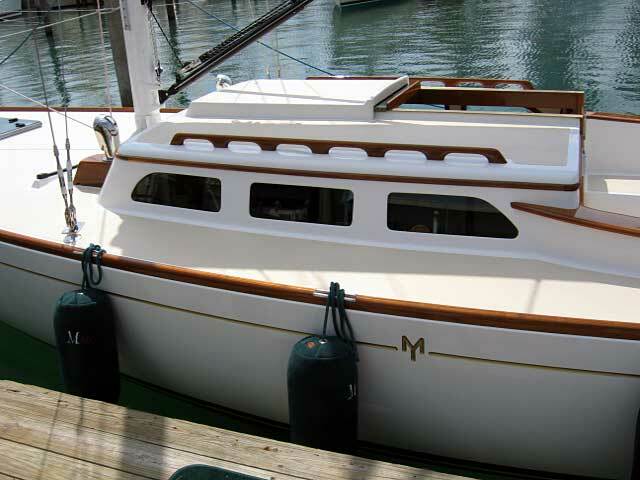 The Morris M36 Daysailer. And Tom is enjoying the afternoon sun in the cockpit. What a great ending after rows and rows of overweight Catalinas, Hunters and Island Packets. 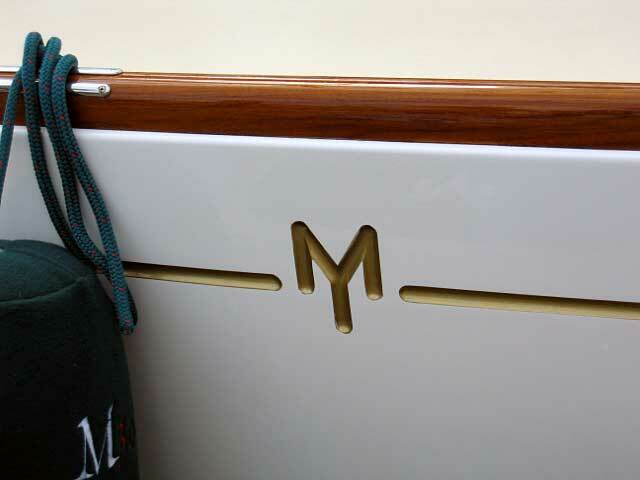 Morris has always been known for their details, and the 36 is just packed full of them.